Job of personal security officer entails challenge, physical potentials, and all time risk. Secura Security trains its personal security guard in its 'Institute Of Private Security Guards Training' takes initiative to make security guards efficient enough to easily handle all tough situations. However, if these things taught systematically during training, tasks become far easier. If anyone is interested to become personal security guard can send their profile, talents, security related previous experience, if we find suitable provide with placements anywhere in Delhi and NCR regions. You can also contact us anytime to avail training. Armed Personal Bodyguard in Delhi: We teach how and in what circumstances arms such as licensed rifle, firearm, and pistol required to use and how to use them. 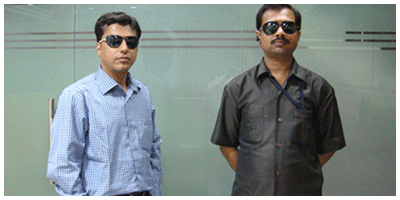 Motive of our Personal Security Guards: They safeguard individual for part time or full time in uniform. They are employed at your services for protecting assets ranging from life to physical property. They respond to emergency incidents quickly, carry out background investigations, perform detection function, investigate crimes and criminals, and interrogate offenders.